Scenic location which is at an easily drivable distance from Major cities like Bangalore and Mysore in Karnataka has made Sakleshpura one of the popular holiday destinations in South India. We have this place as one of the preferred holiday destination for our guests who ask for beautiful nature around the place where they will be staying for their holiday. There are very good accommodation available at Travel Chords for your holiday in Sakleshpur or Hassan area. We adhere to one simple fact that its not just nature but the activities and quality of facilities/food provided that makes your holiday experience more enjoyable and memorable. 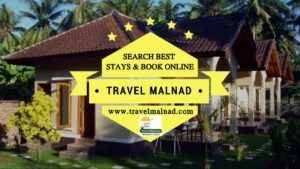 We have rooms ranging from Standard to Super deluxe with our holiday services and you will have the liberty to compare quotes as per your budget and then choose different homestays and resorts that can fall in your search. There are both registered and unregistered users on Travel Chords and please make sure you register (for free) to keep track of all gifts, discount vouchers and redeemable vouchers that are fetched during your holiday bookings. We are striving to create as many as possible happy traveler footfalls in South India.